Home » Fireplaces/Stoves/Gas Logs » Gas Appliances » Vented, Direct Vented, Or Vent-Free, Which Is For Me? Vented, Direct Vent Or Vent-Free — Which Is For Me? Gas fireplaces are a beautiful addition to any room, adding ambiance and value to your home. However, choosing the right gas fireplace for your home can sometimes be overwhelming. With so many choices, styles and features, finding the right gas fireplace or appliance can be difficult. One of the most confusing aspects of gas fireplaces is the different kind of venting options. Below is a brief discussion of vented, direct vent, and vent-free gas fireplaces and appliances – we hope this helps you with your decision! Vented fireplaces and gas appliances are designed to work with a chimney. These fireplaces rely on the chimney to properly remove byproducts from the home. With a vented fireplace, the gases produced by the fire simply travel up the flue to vent out of the home.  A vented gas fireplace or appliance is an ideal choice for homeowners with an existing masonry chimney who are interested in switching fuel sources. Direct vent fireplaces and appliances also draw air from and vent to the outside of the home. 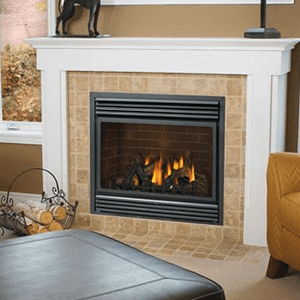 However, unlike a vented fireplace, a direct vent gas fireplace vents using a two-layer pipe that directly connects the fireplace to the exterior of the home. Because no air from inside your home is drawn into the fireplace, it virtually eliminates the risk of carbon monoxide poisoning. Because of their unique venting system, direct vent gas fireplaces must be placed against an exterior wall of the home. 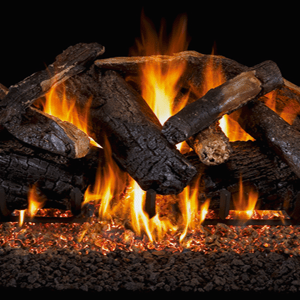 A bonus: The burn created by direct vent fireplaces and gas appliances most closely resembles that of a real wood fire. Vent-free fireplaces can be installed anywhere you want them! Because there is no need for venting, they can be placed virtually anywhere in the home. Most vent-free gas fireplaces are portable and can even be moved from room to room when needed. 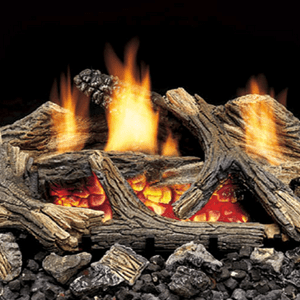 While vent-free gas fireplaces are good for use as a supplemental heat source, they are not designed to heat the entire home and often don’t create the most realistic looking flame. Whenever possible, vent-free fireplaces should be used near a slightly opened window to provide fresh oxygen to the room and prevent a buildup of gases. Still not sure which option is best for you? Let Olde Towne Chimney & Fireplace Sales find the gas fireplace, stove, insert or log set that is right for you and your family! 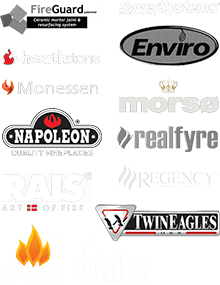 Call us today at 812-284-0123 or visit our showroom to learn about the different types of gas fireplaces and which one is right for you! Today’s gas fireplaces are known for their high heat output and efficiency. Discover the benefits of a new gas appliance for yourself when you talk to any of our knowledgeable team members.